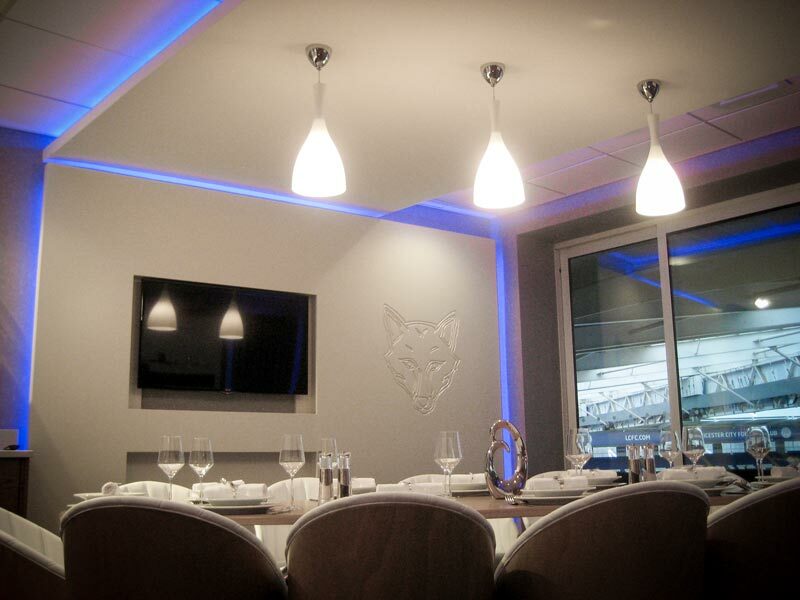 To develop LCFC’s West Stand Reception, Players arrival and Tunnel, Players Family Lounge and Hospitality areas to increase their fan revenue opportunities. 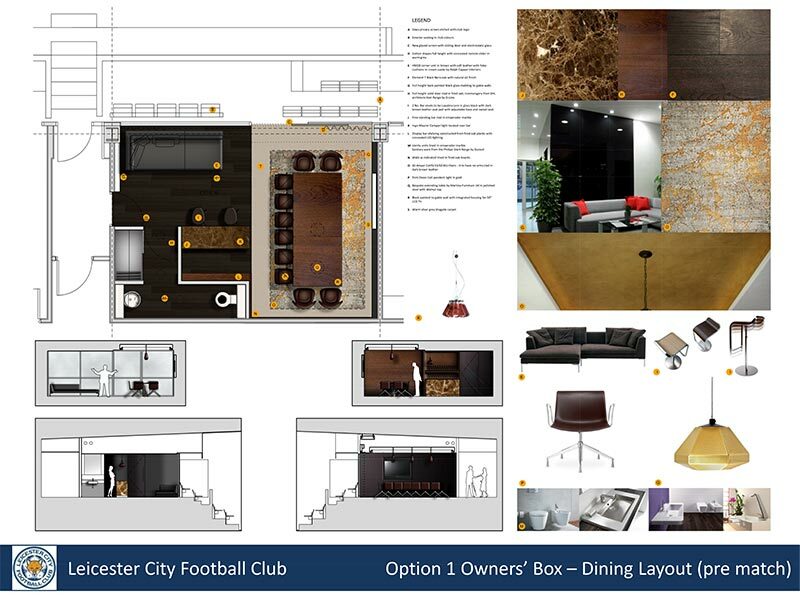 Following site visits on match and non match days, industry benchmarking and team collaboration, Proleisure provided a revised player and hospitality design and investment plan as part of a redevelopment strategy. Through a masterplan and supporting operation bus plan that included a new price tiering system the club were given investment options to inform decisions based on team performance and league position. Proleisure oversaw the design and construction of show boxes and a new double owners box to encourage existing box holders to invest in the new concepts. 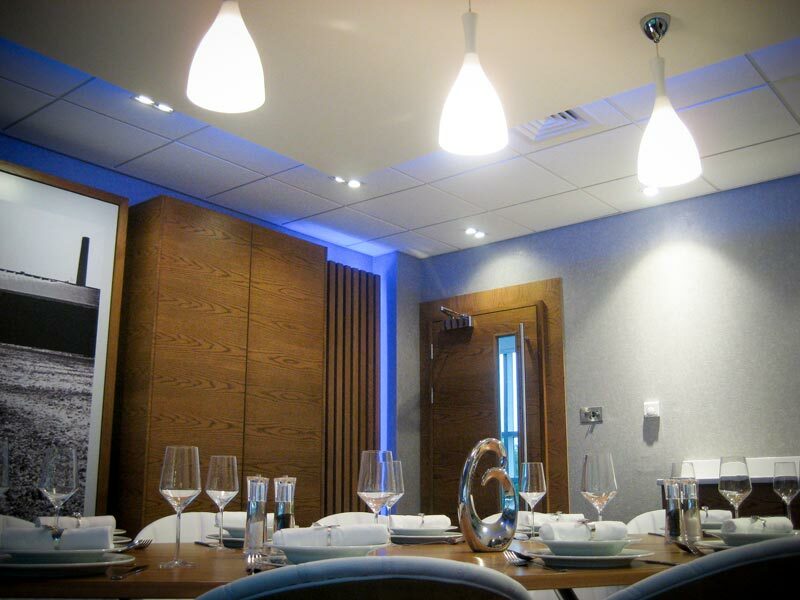 Furthermore Proleisure lead on the masterplan concept for the players and hospitality redevelopment.